Literary forms like the short story and the poem nowadays feature less and less in printed media because of market conditions, an artist says. "Literary magazines and journals are practically non-existent in this country or at least have lost their importance. 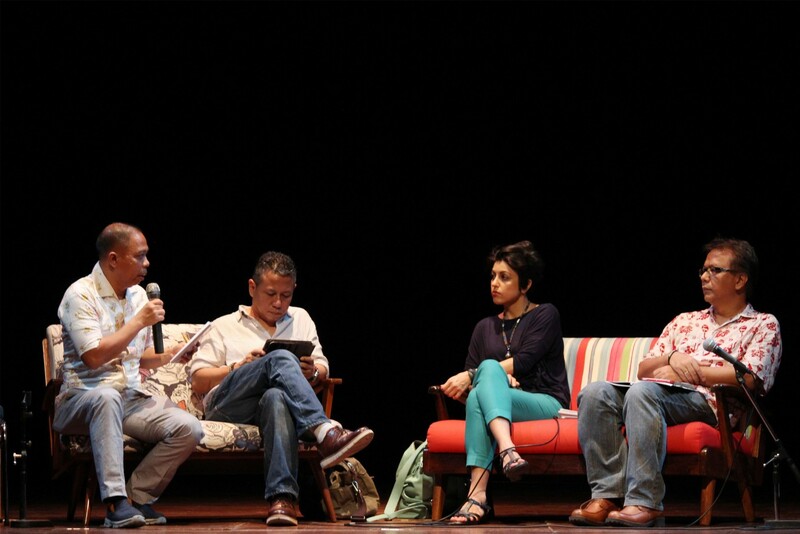 It clearly shows our apathetic attitude toward literature," Poet Nirwan Dewanto said at the 2016 ASEAN Literary Festival on Sunday. It was rare to find printed media that still featured researched works, he said, adding some publications still existed such as Horizon Literature Magazine and Koran Tempo. "However, Horizon magazine is difficult to find in the market," Nirwan asserted. As mediums decreased publishing short stories and poetry, the situation became more difficult, Nirwan said. He added many of the young writers had moved to social media and personal blogs, adding they had their own authority and could communicate directly with readers but still lacked mediation. "Our literary works in the last two decades have reached readers without the mediation of critical review and academics," Nirwan said. In the digital era, many newspapers struggle to retain circulation numbers, and they need to accommodate more advertisements and cut pages for efficiency purposes to keep running, Nirwan asserted. "Newspapers are about business; the profit drives it. So we should cut whatever pages or columns that do not bring in money," he said. Keep the business pages because it is good money, maintain the sports pages but kill the literary pages," The Jakarta Post Editor in Chief admitted. However, journalism and literature have a close relationship as many writers came from journalism backgrounds such as Leila S. Chudori and Okky Madasari.